Gotham fans were certainly taken aback at series baddie Jada Pinkett Smith’s casual confirmation that Fish Mooney would be one-and-done after Season 1, though a return appearance always seemed in the cards. Fresh Fish is indeed on the menu, as Jada is confirmed to reprise her role for multiple Season 2 episodes. TVLine confirmed that the Gotham Season 1 villain would recur for “multiple” episodes at some point after the prequel Bat-drama resumes its second season in February, without saying how, or what brings Fish back into the fold. The character had been given a rather ambiguous comic book end, thrown off a roof into icy waters below, having already been put through the wringer that season. As many fans well remember, the Gotham fall finale featured a glimpse into the mysterious Indian Hill facility we know to play home to Bat-villains Mr. Freeze and Hugo Strange, while at least one figure floating in a tank more than suspiciously resembled Fish. 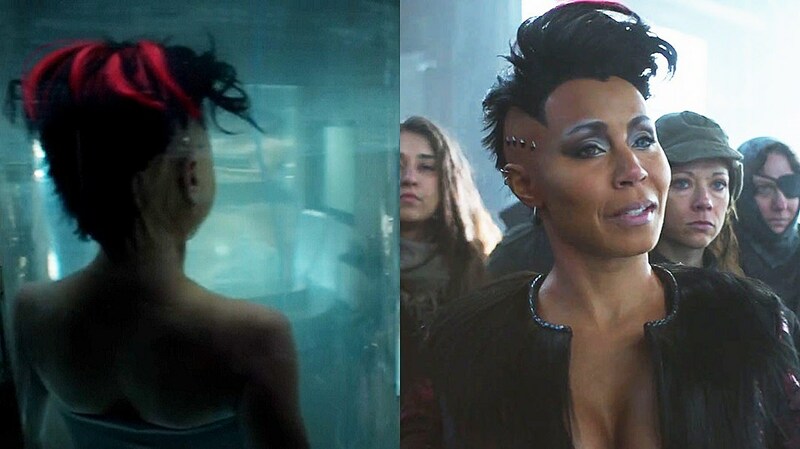 Fish Mooney isn’t the only fan-favorite Gotham villain eyed for a potential return in the near future, but what Bat-shenanigans can we expect from Jada Pinkett Smith this time around? Gotham will return on Febraury 9.